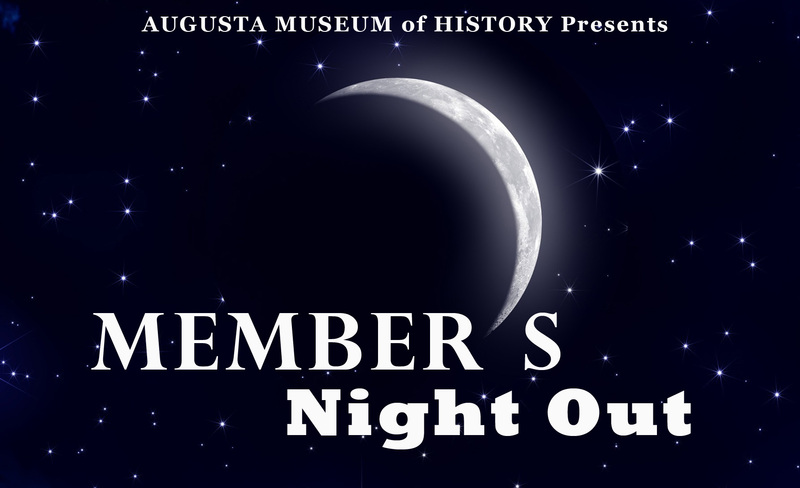 The Augusta Museum of History is pleased to present Member's Night Out, a member event offered in conjunction with Augusta's "First Friday." The Museum opens its doors after hours from 5:30 to 7:30 p.m. as a special appreciation night for our members. Each Member's Night Out will have a different theme, which features a lecture, offered at 6 p.m. and 6:45 p.m., and hands-on activities for the whole family. All museum galleries will be open as well. Cost: Free for Museum Members. Admission for non-members is $7 for adults and $4 for children. Discounts will be offered for first-time individual and family museum memberships at the door!